John Legend, who will forever have a place in our hearts for his performance in a bat mitzvah scene on Curb Your Enthusiasm, gives vintage soul a respectful tweak. We're tearing up just thinking about the inevitable encore performance of the gorgeousness that is "All of Me." 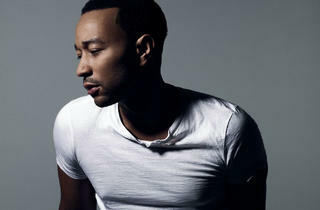 I had my first experience seeing John Legend in concert & now I am an even bigger fan! His voice was crisp & raw and every song was amazing from uptempo songs to ballads. My favorites were just he & the piano. He wss engaging with the audience & everyone went crazy when he came out in the audience. Tamar was very good but the band over shadowed her great voice.It doesn't get better than that. If you have the opportunity, go see John@!